Custer State Park wildlife roam the 71,000 acres of land protected by the State of South Dakota in the Black Hills. The area that now provides provides habitat for the Custer State Park wildlife was originally established as a Game Preserve in 1913. Custer State Park wildlife includes about 1,300 buffalo. A network of roads, both paved and gravel, make wildlife viewing very accessible throughout the park. The Wildlife Loop Road through the southern section of Custer State Park provides the best opportunity to view wildlife. The unique combination of prairie, woodlands and rocky outcroppings present excellent wildlife habitat. The park was founded in 1912 by then Governor Peter Norbeck. He envisioned a state park in the Black Hills and had a dream to reintroduce many of the wildlife species that used to call this beautiful area home. Norbeck oversaw the introduction of buffalo, elk, pronghorn, and bighorn sheep and they have all thrived under the park’s protection. 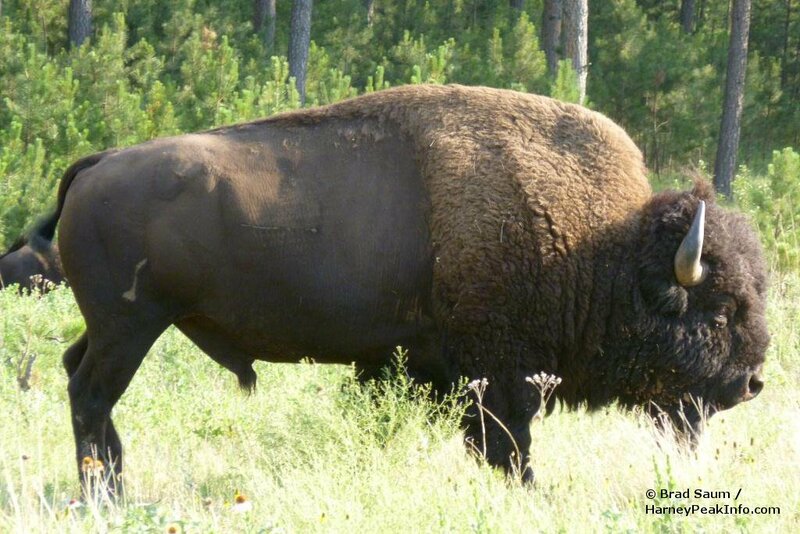 Custer State Park wildlife includes bison, commonly referred to as buffalo, mule deer, white-tailed deer, pronghorns, mountain goats, coyotes, elk, bighorn sheep, prairie dogs and many, many more. Feeding and disturbing wildlife is against park regulations. Do not approach buffalo. Signs throughout the park warn drivers of the dangers associated with approaching the bison. Enjoy the wildlife, but do so at a safe distance. Custer State Park wildlife also includes the reclusive and nocturnal mountain lion. Mountain lions are predators, feeding on other species, including deer, elk, rabbits and wild turkeys. Preferring to avoid people and being active at night, they are rarely seen. Copyright © 2019 Black Elk Peak. All Rights Reserved.